One of the main problem for brands is that ICANN mandates them to use infrastructure that brand TLDs don’t really need, like SRS, EPP, per-domain WHOIS, data escrow etc. Which Infrastructure providers obviously like, but the only “database” needed to administer a brand TLD zone file is Notepad/TextEdit. All in the name of a vogon-like bureaucracy. +1000. If you could simply operate closed brand TLDs using just DNS, and especially if you could have wildcard records at the top level, there would be so many more possibilities. The required bureaucracy is seriously hampering the potential of brand TLDs, and it’s so unnecessary. Wildcard is not just an ICANN taboo, it comes with concerns from technical communities, as the IAB recommendations on this show. But while wildcards can be harmful, it can do no harm in specific scenarios… then the bureaucracy noted the ban was aligned with their own self-interests and made no route available for TLDs wanting to provide it correctly. I expect that a .BRAND TLD will eventually submit a request to wildcard their TLD and succeed. The ICANN community would have a difficult time to justify denying it. In reality, all TLD’s are brands, as in “A brand is an overall experience of a customer that distinguishes an organization or product from its rivals in the eyes of the customer.” (wikipedia). This applies to .COM and .US just as much as .FACEBOOK. New TLDs will succeed when they are successful in positioning themselves versus .COM for their target market. For example, Which is a more secure website? One ending in .COM or one ending in .BANK? It’s a bit old for me to recall it exactly, but I believe .travel already applied once and got it denied, even though at the time there was a gTLD (.museum) using wildcard and until today there are some ccTLDs using (.dk for instance). The problem with .brand owners is a lack of imagination. But you do need the right .brand to work with. Suppose each year 4 Million new customers get injected at Botox Dealers receive a free .botox domain. No renewal fees ever on .botox domains. Customers retain full use of the domain for the duration of the injections. .Botox registrations can only be sold or transferred by Botox. Assignees of .botox domains may only relinquish the registration back to Botox free of charge. How do residents in high rise skyscrapers get Spring Water. In a big city only rich people can afford to have 30 gallons of Spring Water delivered up the freight elevator to their suite. It costs a fortune to back that Diesel water delivery truck up the their loading dock and pay the CDL Driver 100 grand a year to navigate their alley. Become a .evian reseller to your neighbors. They place orders to your .evian domain, you receive the truck at your loading dock then deliver bottled Spring Water to you neighbors with a dolly and get paid. I believe .brand won’t work if it can’t work first with Spring Water delivery. Do you have any idea how many gallons of Deer Park Spring Water I hauled to my apartment in DC between 1995 and 2012. Thousands of Gallons. I spent my entire 20’s and 30’s getting Spring Water home on Rollerblades. In 1999 I’d have two gallons in my backpack and a gallon in each hand on Inline Skates in Washington DC. I rollerbladed in grocery stores all over Georgetown and Pentagon City for 17 years. No cell phone, no cameras, no video games. Lol People who inject Botox aren’t big users of domains. That was a great brand. …building an umbrella focused on strengthening the brand, removing the husk from the equation with a pure focus on the corporation. Ronald.McDonalds could have been aimed at kids activities and charities. McDonalds screwed up by dropping it. On the other hand, a .brand focused on a very specific product is shortsighted, because that product may have a limited life and what do you do with other products that you don’t cover that end up more popular? But a brand with a .brand stands out. Advertising is about setting yourself apart from the rest, getting noticed. His name is “Ronald McDonald”, so it still would not have made sense. McDonalds haven’t screwed up by dropping the tld, it a white elephant. They’ve saved a bunch of money. That first one seems like a horrible example. If you’re going to do country.McDonalds/state/city/suburb/street, why not just mcdonalds.com/country/states/city/suburb/street? If Snoopy is correct and companies can already use http://www.brand under the current framework, then it is primarily the companies’ lack of branding vision that is/was the problem. 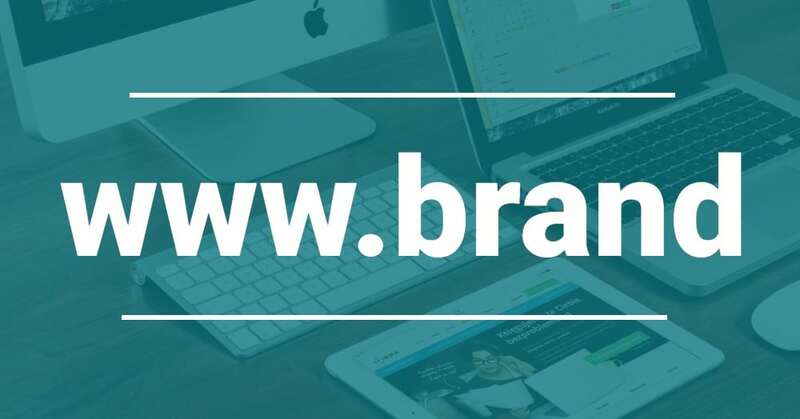 People are conditioned to type in ‘brand.com’; if you’re going to attempt to break this mold and recondition them towards other types of domain formats then it is more logical to condition them towards ‘www.brand’ rather than ‘www.home.brand’ – the latter being longer and with a foreign word added in. The problem is just that using these domains is confusing for customers and thus a bad idea. The solution though is simple. Btw, using http://www.brand is a bad idea because the .com is missing and it is no shorter than brand.com, it looks like a printing error. In 2019 registries are pushing a proven loser in terms of a round 2. The more it gets delayed the harder it will be to sell. Using http://www.brand would be an excellent idea in the long term; these companies each own their own dot com version so people who think it’s a typo would just add the dot com as usual and be diverted to their main site. With http://www.brand there is only one variable to remember – the brand itself. With brand.TLD one has to remember the brand and the TLD; even though dot com is highly dominant some large companies use dot net or dot org. Using http://www.brand would be four characters shorter for those typing it in (i.e. the user would type in ‘brand’ rather than ‘brand.com’). Nobody types in the ‘www’, for dot com or otherwise – the ‘www’ is just to advertise that it’s a web domain. Now if you tell me that those who own/ed ‘.brand’ could/can not have their sites accessed by people simply typing ‘brand’ into their browser then it is an ICANN failure of vision as I originally stated in the Honeywell article. Notably, thus far we have been talking about how users get to a piece of virtual real estate; there’s also arguably something very exclusive and credible about having one’s site located at https://brand. It is the purest expression of one’s brand. John Berryhill was right; when one sees ‘brand.com’ one, implicitly or otherwise, sees ‘brand.Verisign’ (or ‘brand.’something-other-than-brand’ for those not familiar with TLDs). The .Brands will take off as soon as the .Brands start using them as marketing slogans in advertising, and use the .brand domains to provide a unqiue experience when the user visits the site. For example – drive.bmw (could take take users to a website that demonstrates a POV experience for the user driving a new BMW). Creativity and the marketing strategy will be the genesis, ushering in a completely new online experience that few, if any of us, can conceive. …and why would anyone do that?